The senior teams of India and China last played in the 1997 Nehru Cup in Kochi which the 'Red Dragons' won 2-1. SUZHOU: Billion-plus populations but laggards in a truly global sport -- India and China will go head to head in a football friendly for the first time in 21 years on Saturday with the home team a firm favourite despite poor recent form. The Indian team is playing an international match for the first time in China though their senior sides have faced each other 17 times in the past. China have played in India seven times, all of them in the invitational tournament Nehru Cup. India has not won a single match out of the 17 while China has come out trumps 12 on occasions. Five matches have ended in draws. Neighbours India and China account for one-third of the world's population and they are the fastest growing and competing economies in the world but they have remained "sleeping giants" with nothing much to show at the world stage. Despite being a lesser force on the global stage, China, nonetheless, is one of the established football countries in Asia. The 'Red Dragons' have been consistently among the top-10 in Asia and in the top-100 in the world. The country is now 76th in FIFA rankings and seventh in Asia. China has played 11 times in the Asian Cup, the continent's top-flight competition and has finished runners-up twice and third as many times. 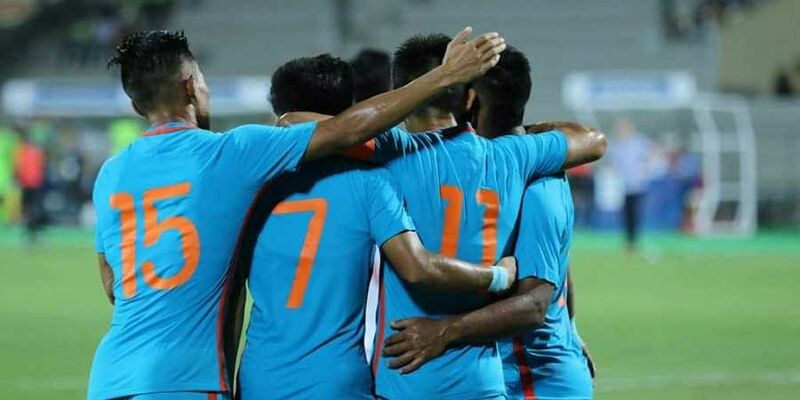 India, on the other hand, has played only thrice in the Asian Cup (1964 runners-up; 1984 and 2011) and recently broke into the top 100 in the FIFA rankings after a long time. The country is now 97th in FIFA rankings and 15th in Asia. "We are fully aware that China are a big side in the region. They will be a very difficult side. They want to play possession football, attacking football," said coach Stephen Constantine. "We will go all out for a win. But if we lose, we will try to find out the positive aspects." Captain Sunil Chhetri wondered just what took so long for the two countries to play each other. The home team's 2006 World Cup-winning Italian coach Marcello Lippi cannot afford to anything other than a win on Saturday with less than three months left for the Asian Cup, which will be his last tournament with the Chinese national side.